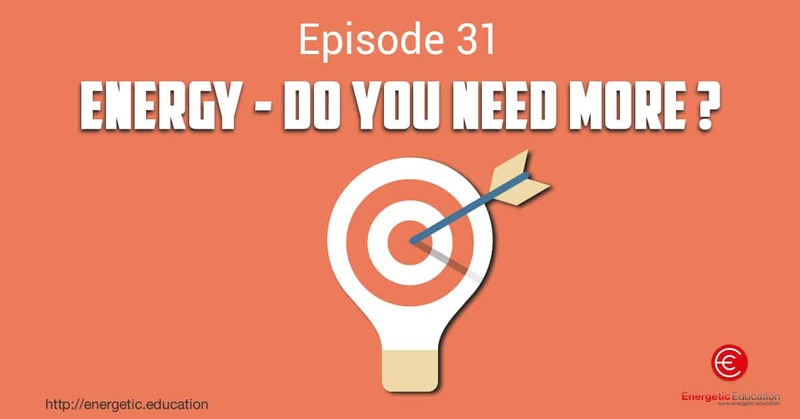 Episode 31 – Energy – Do you need more? 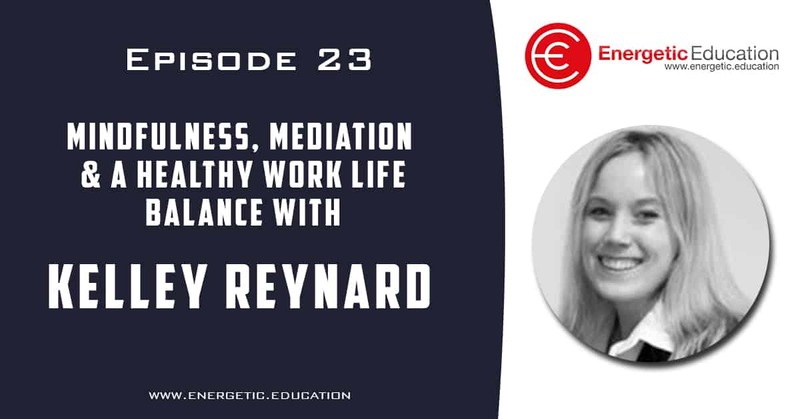 This weeks podcast I will be focusing on energy; people ask me all the time how do you always have so much energy? Or they say, ‘are you always this up and about’. The simple answer it yes, there are a lot of factors that allow me to maintain my energy throughout the day. In today’s episode I want to share with you my top ten tips on saving time and energy. Because when you think about it, life is way too short not to be up and about having a great time. I am a massive fan of James Cordon and his hugely popular carpool karaoke interviews. It’s such a great idea. So I thought I would mix it up for this week’s podcast creating a five-part video YouTube podcast. 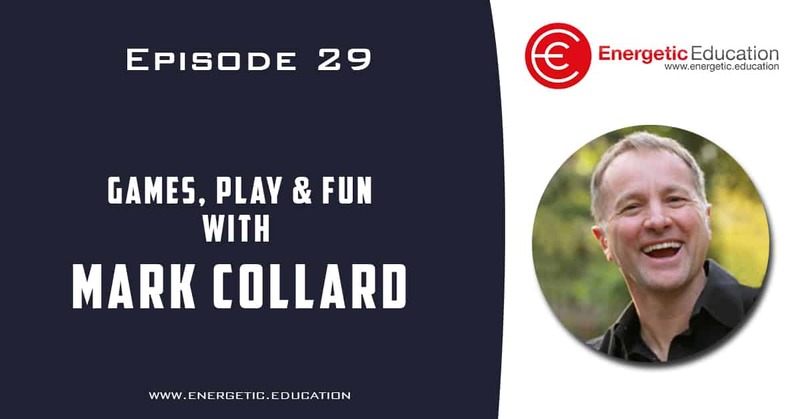 I was lucky enough to have Andy Hair in the car with me to discuss physical literacy, games and what he is currently working on. 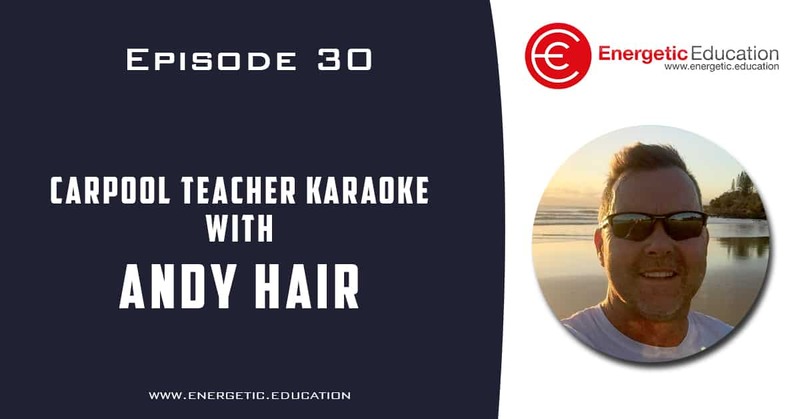 You can check out the five-part video series on our website at energetic.education/podcast. The videos are also available on my YouTube channel search ‘Dale Sidebottom’. Like the title of this podcast suggests, UNO is definitely number one. It has been a favourite household game for decades. We use the 108 cards in three different ways to get the maximum participation from all the students we teach. 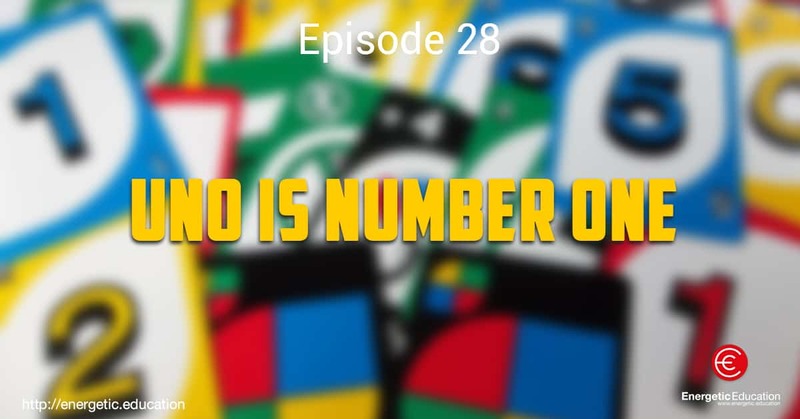 In this episode we are going to spill the beans on our top three educational UNO games. Download the podcast and start listening. 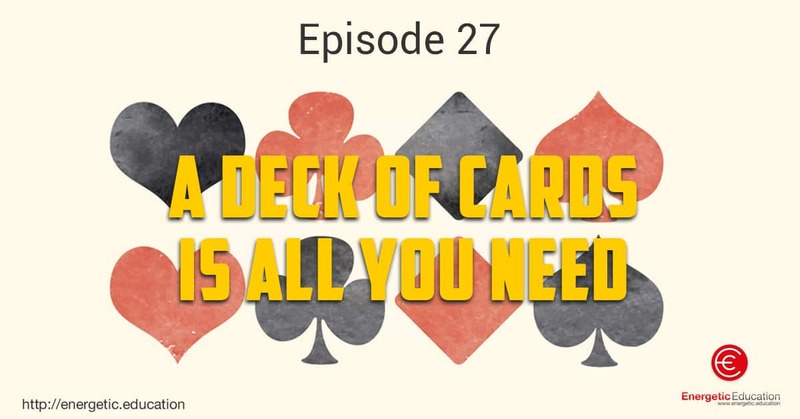 Grab a deck of playing cards, download this podcast and you will be set with three amazing new games and lesson ideas to use with your students. In today’s show I will explain my top three educational games that use a deck of playing cards. 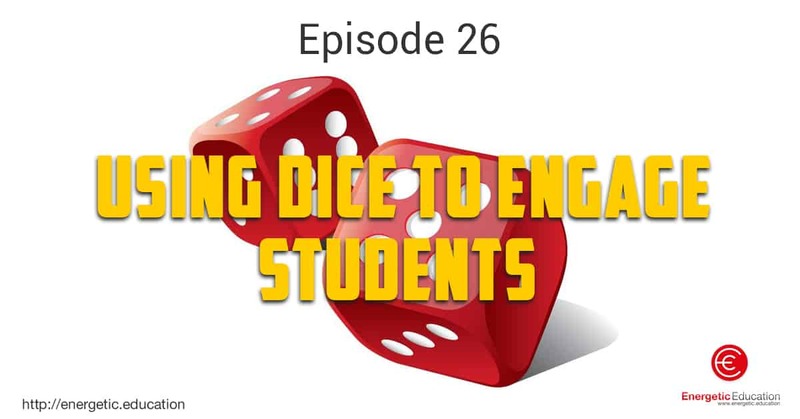 In today’s podcast we will give you three fun educational games that can be played at school that only require a six sided dice. Each of these games is a basic template that you can use to adapt to just about any situation in the schooling curriculum. The reason we are sharing these three activities with you is simple, teachers have been going crazy about these games after our workshops. We understand that not everyone is able to attend our live workshops, hopefully you get as much enjoyment out of these three dice games as all the teachers we have worked with around the globe this year. 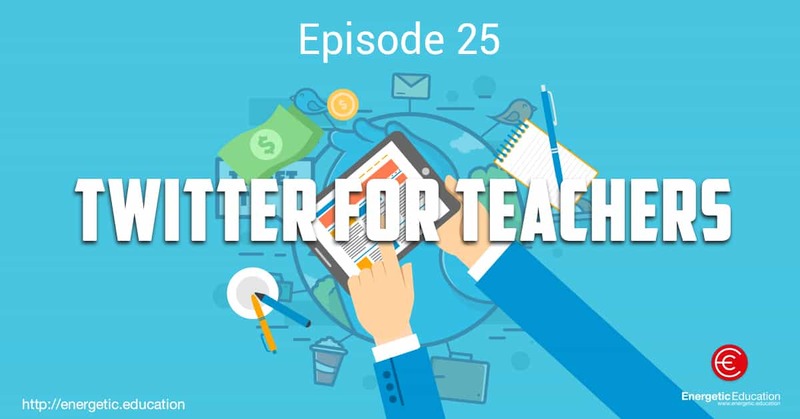 Gamification is all the craze at the moment, today’s episode explores the benefits you will gain within your classroom. Gamification is basically using game mechanics like programmers and game developers use to make awesome video games. The use of rewards, levels, badges scoreboards etc creates maximum buy in from everyone that plays. This is why people want to keep playing Xbox or PlayStation, the games engage participation. 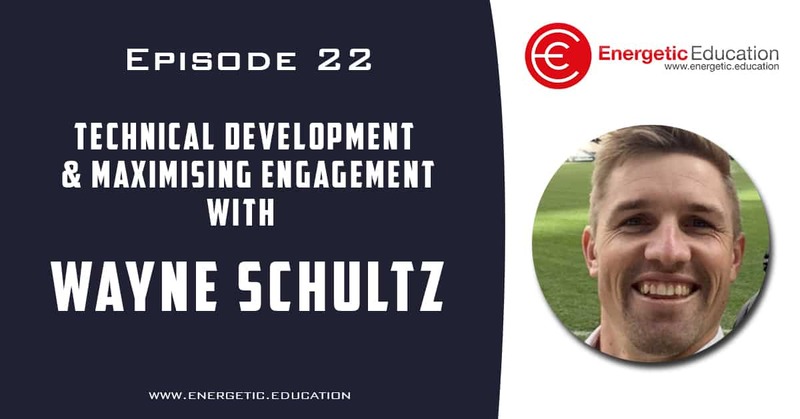 If you apply certain mechanics of game development and gamify your classroom lessons, students will be more involved in the classroom activity. 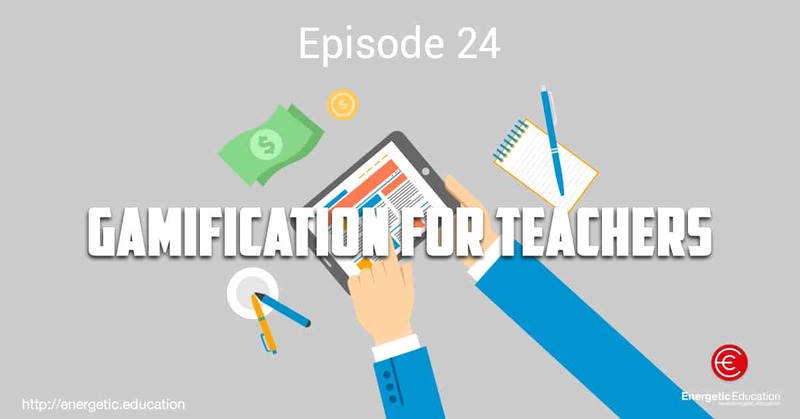 I will endeavour to break down what gamification is to me in this episode and give you three examples of how I have used gamification as a learning platform in the classroom.